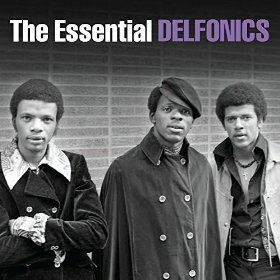 Among the first purveyors of the smooth, orchestral sound that would come to typify Philadelphia soul, the Delfonics established themselves as one of the quintessential soul groups of the late 60s and 70s and created some of the most notable songs of that era. Formed in the early 1960s in Philly by brothers William "Poogie" and Wilbert Hart and schoolmate Randy Cain, the Delfonics established a reputation as a solid young vocal group and William Hart as a fine young songwriter. They signed with local Cameo-Parkway Records and released a number of singles on that label and on small MoonShot Records, none of which received much attention outside of Philadelphia. Then the group became one of the early acts to team with young producer/arranger Thom Bell, and the combination struck immediate pay dirt on Bell Records. They hit both the Pop and Soul top five in 1968 with the Bell/William Hart composition "La La Means I Love You," a now-classic soul ballad highlighted by Hart's plaintive falsetto lead. More hits followed over the next few years, including the memorable "Ready Or Not Here I Come," "You Got Yours And I'll Get Mine" and their other top ten Pop hit, "Didn't (I Blow Your Mind This Time)," which won the 1970 Grammy Award for Best R&B Performance. Cain had trouble dealing with the group's sudden success, and left the group in 1971. He was replaced by Major Harris (who later scored a #1 solo hit with "Love Won't Let Me Wait"). Due to the bad contract that the group had signed with its label, which affected the ownership rights to the songs, Bell stopped working with the Delfonics and began his emergence as one of the great producers and arrangers of the era, later scoring a string of hits with the Stylistics, the Spinners, Deniece Williams and more. The Delfonics continued to hit the lower ends of the Soul charts through the mid-70s, when Harris left for a moderately successful solo career. The Hart brothers split due to a financial dispute and each formed his own version of the Delfonics. Over the next 30 years, the group split and reconnected, often with varying combinations of former members (including Harris, Cain, each Hart brother) and others. In 1999, William Hart teamed with Harris and former Futures member Frank Washington (later the lead singer for the Spinners) to record Forever New on Volt Records, working with producer Preston Glass (who seems to have produced virtually every classic soul group over the past decade). It received some critical notice but failed to chart. Sadly, Cain died in 2009 and Harris in 2012. Currently, Wilbert Hart, with new members Greg Hill and Joe Branch, tours as the Delfonics Review. William Hart also continues recording as a solo artist, most recently releasing an album in late 2005 called Fonic Zone.